Posted June 11, 2015 by Emily Adams . At Automated Marketing Group, we love dogs. If you follow our accounts on Facebook and Instagram, you may have even seen snapshots from our Friday “Bring your Dog to Work” days. So when we heard the news from a dog rescue group in our community that five of their puppies are facing a life threatening virus, we had to act. Denver Dachshund Rescue and Transport recently received a litter of 5 puppies – 2 of which came already infected with the Parvo virus. This virus causes intestinal problems that can lead to cardiac issues and death in young animals. And the cost to cure it is high. Two of the puppies are currently in treatment, a third was diagnosed today, and the last two are already showing signs of the infection. 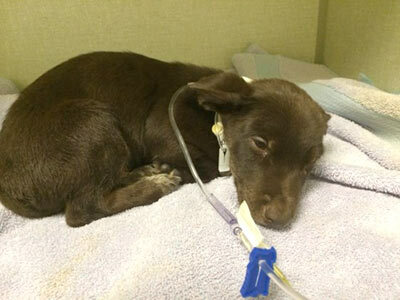 Denver Dachshund Rescue and Transport is facing veterinary bills greater than $5,000. Without the funds to support this, the group faces a difficult choice helping these puppies fight for their lives. So we’re calling on you. If you find it in your hearts, please show these young dogs some compassion and visit YouCaring.com to make a donation of any amount. But if you can’t make a financial contribution, please help us spread the link to our community – share with dog lovers, friends, and family, and help this group save five young lives, so these dogs can learn true love and compassion. option to finish the course.